Splish splash I was taking a bath! I mean taking my kids to our local splash pad in Southern California for some fun! Where else can you go on a beautiful summer day that is FREE on most occasions and refreshing? This summer several communities throughout Southern California have designated certain areas in their cities as cool down stations. Cool down stations are designed to help people ward off the heat when it reaches a certain temperature and becomes unmanagable. Your local splash pad is sometimes one of those stations. Splash pads are also recreational areas, often in a public park for water play that has little or no standing water. This eliminates the need for lifeguards or other supervision, as there is little risk of drowning. However, I highly recommend that parents always keep a close eye on their children when playing at a splash pad. In fact, Los Angeles County requires a one on one ratio per child and adult. Plus with water flowing it can get very slippery, very fast. Therefore, a good pair of water shoes goes a long way in this situation. 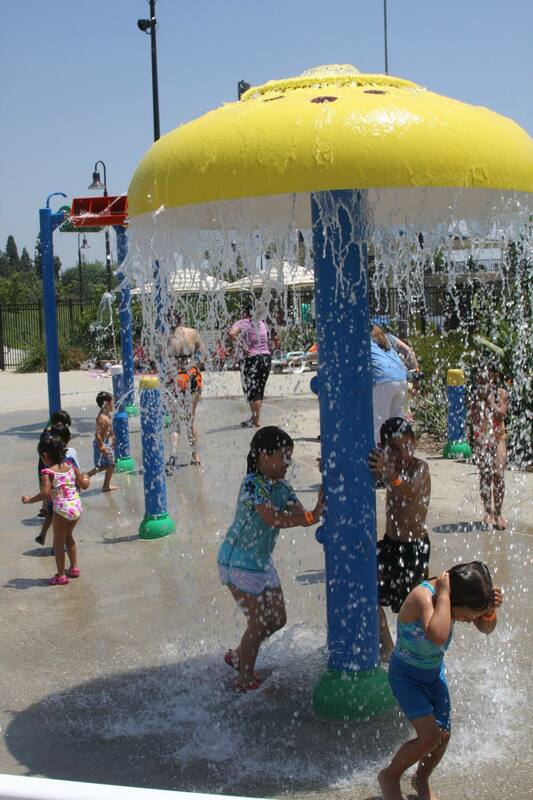 So this summer when you just can’t take the heat anymore, pack a picnic lunch, put on some SPF 30+ and head on over to your local splash pad in Southern California. Don’t forget a few lawn chairs too! Seating can be limited. Top 10 Places I Want To Visit In 2015! It’s a new year! And with a new year, comes new adventures! I have compiled a list of the Top 10 Places I want to visit with my family in 2015! Some of these places have been on my to do list for a long time, while others are up for a repeat visit this year. So here’s to a happy and healthy extraordinary year of family travel and fun! 1. 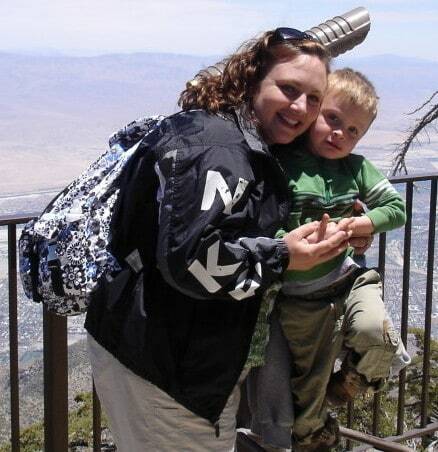 Idyllwild, CA – Before I was married, I went to Idyllwild a few times with friends. Idyllwild is a cozy little mountain top community located above the San Jacinto Mountains in Riverside County. The village itself is quaint and beautiful, especially during the winter time. It does snow in Idyllwild, but there is no snow skiing allowed. Therefore, it is typically not as crowded as other mountain communities such as Wrightwood or Big Bear. My family and I plan to take a trip to Idyllwild in the coming months to enjoy the snow. 2. Omni Rancho Las Palmas Resort & Spa, Rancho Mirage, CA – Over the years, I have heard wonderful things about The Omni Rancho Las Palmas Resort & Spa. 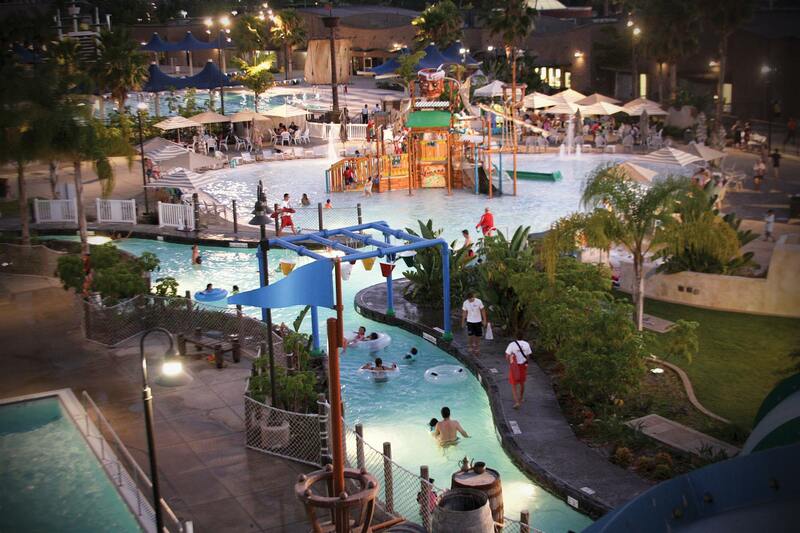 Several families from Orange County head out to the desert every year to enjoy the resort’s Splashtopia, a two acre water playground, featuring a 450-foot lazy river, two 100-foot water slides, cliff-side Jacuzzi, sandy beach and fountains and sprinklers to give kids endless amounts of fun. For many families they make it their yearly vacation. 3. 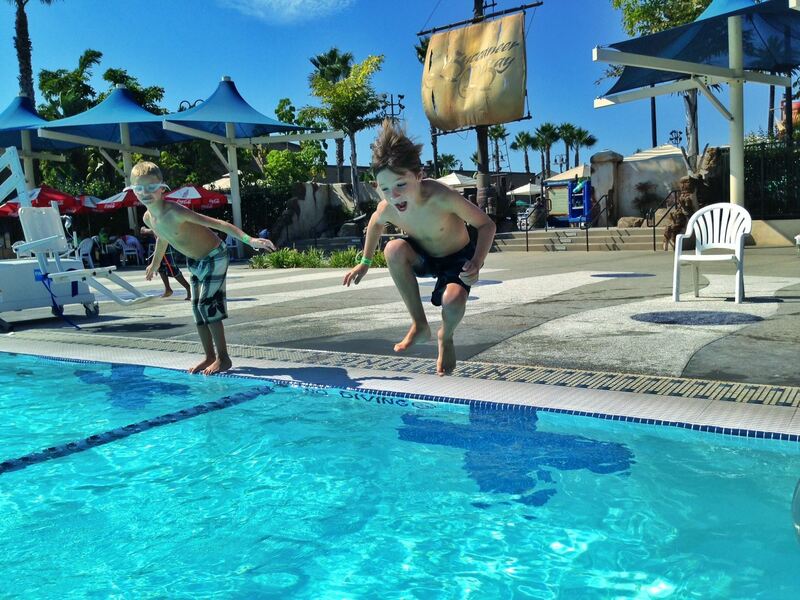 Howard Johnson Anaheim Hotel & Water Playground, Anaheim, CA – Another local favorite for Southern California families who visit Disneyland is the Howard Johnson Anaheim Hotel & Water Playground. When you are tired and can’t walk around the theme park anymore, you can head back to the hotel to soak up the sun and relax around Castaway Cove – a pirate themed water park area. 4. The Children’s Museum at La Habra, La Habra, CA – We have been to The Children’s Museum at La Habra a few times. But right now through March 8th, they have a new exhibit called Destination Space that Field Trip Girl wants to explore. She is destined to visit Saturn one day and I want to support her dream if at all possible. 5. Columbia Memorial Space Center, Downey, CA – Speaking of space, I am going to plan a field trip to the Columbia Memorial Space Center in the spring. The children and I went to the space center about a year ago and had a great time. However, there are certain parts of the center that you can only see while on a field trip like the Challenger Learning Center. Either way, it is worth a trip for the entire family any day of the week, guaranteed! 6. Creation & Earth History Museum, Santee, CA – The Creation and Earth History Museum is dedicated to the biblical account of science and history. The facilities include a 10,000 sq. ft. showcase for a literal six-day creation and young earth, including a human anatomy exhibit, life-size tabernacle display, age of the earth cave and more. I have heard great things about this museum as well. 7. The International Printing Museum, Carson, CA – We plan to visit the International Printing Museum on Saturday, January 17 to celebrate Ben Franklin’s Electric Birthday! Highlights of the day include two special presentations by Dr. Franklin himself in the Museum’s Heritage Theatre. Activities will be ongoing throughout the day, including making your own Almanac “the 18th century way” and hand printing your own colonial keepsakes on Ben Franklin’s printing press and more. This is a day for children and adults to enjoy the world and life of our foremost Founding Father, Dr. Benjamin Franklin as he turns a young 309! 8. Santa Barbara Zoo, Santa Barbara, CA – With over 30 sparing acres of land and 500 animals, my family will be sure to enjoy The Santa Barbara Zoo. In case you were interested, they also offers homeschool classes during the year. 9. Woods Cove Beach, Laguna Beach, CA – Three years ago I went snorkeling in Kawai and have been yearning to go back ever since. Instead, this coming summer I will have to settle and go snorkeling at Woods Cove Beach. I know, poor mama! Life is hard! Woods Cove Beach has some of the clearest water along the coast and beautiful tide pools for children to explore. 10. Anatolian Cultures and Food Festival, Costa Mesa, CA– The Anatolian Cultures and Food Festival is a cultural and historical event that includes exhibitions, food, art craft, performances, dances and live music activities. The festival is scheduled to return to the Orange County Fairgrounds in May 2015. Visitors enter the festival area through the “Civilizations Path”, which consists of 14 gates each representing different civilizations like The Hittite Empire, The Kingdom of Commagene, Lydia, The Persian Empire, The Urartu State (Armenians), The Phrygia, The Ionian Civilization,The Assyria, Troy, The Roman Empire,The Byzantine Empire, The Great Seljuq Empire, The Ottoman Empire, and Turkish Republic. Where do you want to go in 2015? Please share with us your travel adventures! We would love to hear from you! Happy Field Tripping in the new year! Disclosure: This post is for information purposes only. Splash! 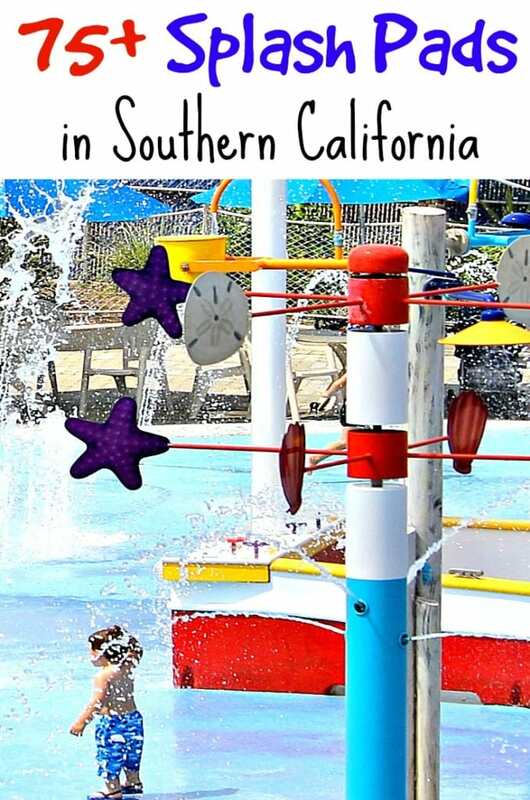 La Mirada Regional Aquatics Center – Review and Giveaway! SPLASH! LA MIRADA REGIONAL AQUATICS CENTER REVIEW AND GIVEAWAY! Do you have a fish in your family? You know, the type of child that asks to go swimming all day, every day. I have two of them. Field Trip Girl and Field Trip Boy are avid swimmers. Field Trip Girl (2 yrs. old) & Field Trip Boy (4 yrs. old) in 2011. Field Trip Boy especially likes to go on water slides. He was born a thrill seeker. So much so, that at the ripe old age two, he cried for hours after discovering he was too small to go on a certain water slide. Well, happily those days are over! Now we are going to Splash! La Mirada Regional Aquatics Center in La Mirada, CA to celebrate my son’s new growth spurt! While at Splash!, he gets to rides all the water slides that he wants because he is officially over 48 inches tall; the minimum height requirement to ride the largest water slides. Summertime fun at Splash! includes a family-fun “Buccaneer Bay” which combines the excitement of a water park with pirate themed features throughout. 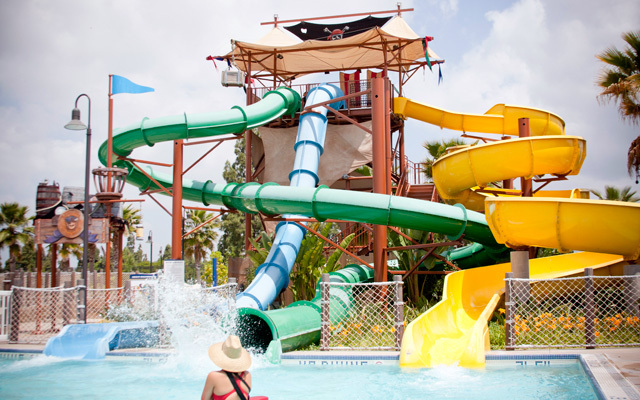 Buccaneer Bay features a flowing river channel, three water slides, a children’s interactive play structure, zero-depth beach entry and two spray pad areas. Pirate themed elements include: a marooned ship, a dramatic skull rock, shade canopies that resemble sails, cannon walls, wharf plank benches, and crow’s nest. Last summer we visited Splash! for the first time and had a blast. My daughter especially enjoyed the lazy river and my son played on the smaller water slides which are designed for little children. Splash! La Mirada Regional Aquatics Center also has a heated olympic size pool and offers year-round swim lessons for all ages and ability levels. Splash! La Mirada Regional Aquatics Center offers swimming lessons for all ages. Right now Splash! La Mirada Regional Aquatics Center is offering a special deal on their 2014 SEASON PASS for only $54 per person OR for 3 easy payments of $18! Visit Splash! for more information. Hurry though! The deal ends on May 31. Splash! 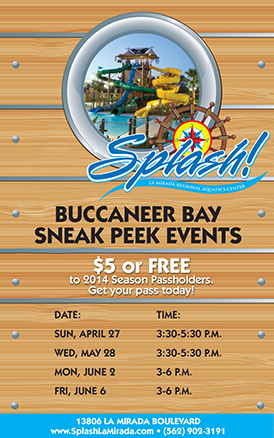 is also hosting several Buccaneer Bay Sneak Peek Events in May and June. This is a great chance to check out Splash! before purchasing a season pass. Splash! season passes are good from May 24th – September 28th. 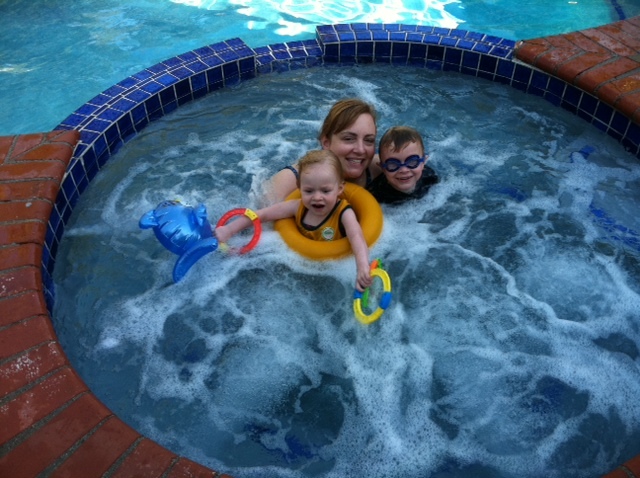 If you are anything like my water loving family, you will use your pass all summer long. 2. No outside food or drinks are allowed inside the park except for sealed water bottles. So if you want to eat you will either need to bring a picnic lunch to eat outside on the picnic tables or purchase food inside. 3. The best time to visit Splash! is after 3 pm when the crowds are the lightest. 4. Bring a lot of sunsceen and your own towels. 5. Splash! also makes a great location for summer birthday parties. For more fun, Splash! is giving away 2 TICKETS TO 3 LUCKY WINNERS to the water park on SoCal Field Trips! To enter, visit a Rafflecopter giveaway!!! DISCLOSURE: This is a sponsored giveaway. Splash! 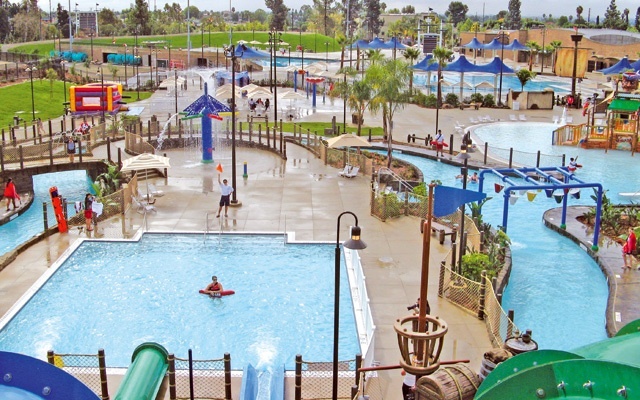 La Mirada Regional Aquatics Center invited SoCal Field Trips to review their water park. All opinions and points of view are our own. Images used by permission. Giveaway is open to U.S. Residents only. No purchase necessary to enter. One winner per household. Everyone has an equal chance to win, however, you must enter to win. Winners will be randomly selected via RaffleCopter and notified via email. No cash value. Winners will have 48 hours to claim their prize or a new winner will be selected the same way. Several different ways to earn entries. Not liable for unclaimed prizes.